Rustic charm for a vineyard inspired event! These sweet boutonnieres feature clusters of artificial purple grapes accented with wheat and green silk grape ivy leaves. 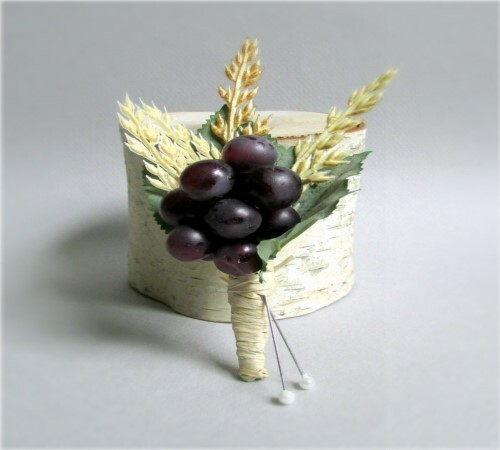 The stems are wrapped with natural raffia. 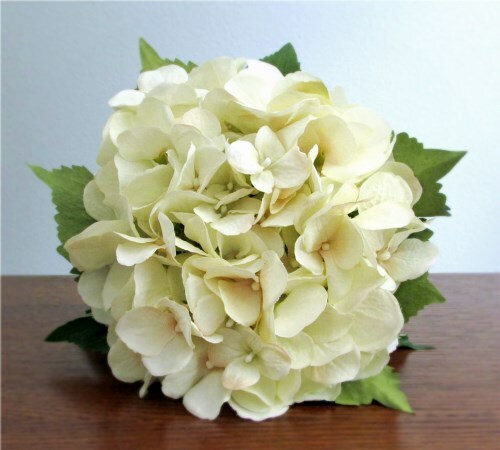 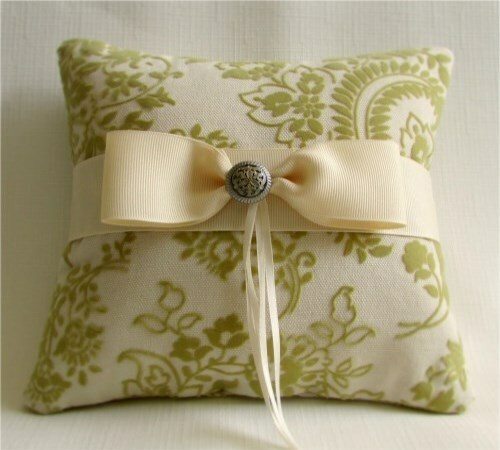 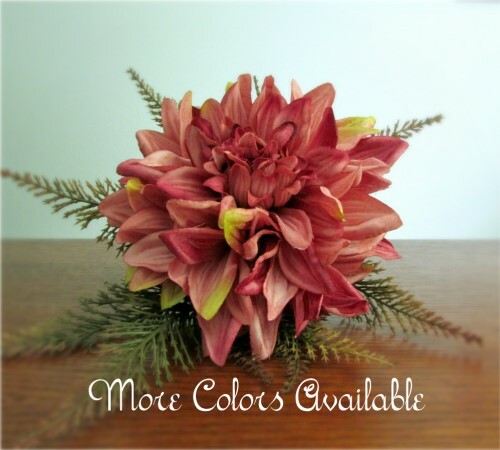 You choose the number of boutonnieres -- any amount from 3 to 8 boutonnieres. 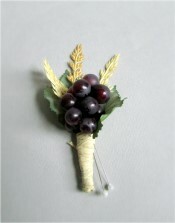 If you need more than 10 boutonnieres, please contact me and I will be happy to help.